Eli graduated from West Point in 2009 with a BS in Economics, and commissioned as an infantry officer. He deployed to Afghanistan in 2010 as a platoon leader in the 101st Airborne Division (Rakkasans), and in 2015 commanded a company in the transitioning 1st Stryker Brigade, 4th Infantry Division at Fort Carson, CO. In 2016 Eli left active service to pursue an MBA at Chicago Booth, where he graduated in spring 2018. He spent summer of 2017 as a consulting intern in McKinsey’s Denver office, where he will return full-time in August 2018. 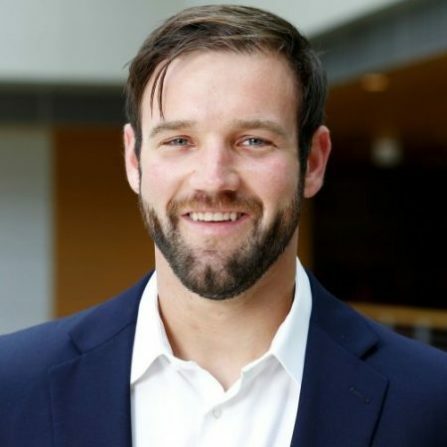 Additionally, Eli served as a volunteer and state/regional leader in Team Rubicon from 2015-2017, and is eager to find continued ways to use his skills to support his communities.